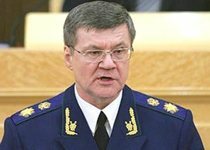 Yury Chaika, Russian Prosecutor General, considers the xenophobic crimes and other extremist manifestations to be a threat to the national security and social stability. According to the Vesti.ru report , he highlighted it during the scientific conference on counter-extremism, held on 29 April in Yekaterinburg. As Mr. Chaika said, extremism in all its manifestations is one of the factors heavily destabilizing society and threatening public integrity as well. Finally, it engenders separatism in certain regions of the country which results in terrorist attacks. “As a rule, extremism is based on the ideological background, xenophobia, ethnic and religious intolerance”, said the Prosecutor General. So we need to work out “an efficient state system annihilating that evil” to combat extremism effectively. First of all it must include preventive activity, legislation reinforcement as well as close cooperation with civil society institutions”, stated Yury Chaika.